Instagram Will Not Let Me Log In [How to fix it]? Instagram is an incredible way to create and share images- unless it does not let you log in. Instagram is such an instrumental part of today’s social life that most individuals can hardly remember living without it. When Instagram does not let you log in, it can feel like the end of the world and most Instagram users typically feel lost, when this occurs. Instagram, like all other applications out there, experiences login issues from time to time. The problem can occur on any device, whether on your phone or PC. 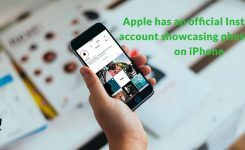 Dealing with login issues can be daunting and downright frustrating because when the error occurs, it makes it nearly impossible to contact Instagram so that the issue can be fixed. You got your name or password wrong. Your account may simply have been blocked. Login issues can also take place if you are logging in from a new device that Instagram doesn’t recognize. The login error might occur because it requires further verification. There is a communication issue between your device and the Instagram server. Turn your tablet or phone on and off again or try force closing or re-launching the Instagram app. Sometimes the solution is just as simple as restarting your device. Once you switch the phone on, try and reconnect with the app once more to see if it will solve the error. If for some reason, incorrect information was being sent, this should be able to solve the problem. Many of the times, difficulty logging in might be as a result of a poor Wi-Fi connection, which often occurs without your knowledge. If the message that you receive suggests that the problem is taking place due to server login connection issues, rebooting your Wi-Fi router can take care of the predicament. Alternatively, you can also attempt switching from Wi-Fi to your carrier’s cellular connection to see if the cellular connection is more effective or faster. Sometimes, login issues are also caused by the wrong time and date settings. As such, always ensure that the date and time on your settings are ‘Set Automatically’ to avoid such problems in the future. Make sure that you check and double-check whether the password and username are entered correctly. If your details are entered automatically, try deleting them and re-configuring them once more to see if it will work. You can also try to reset the password by tapping the “Forgot your password?” option. Go to your device’s settings, then to Application Setting. Go to All the apps and find Instagram then look for clear cache and data. Once you clear the data, you will then have to Force Stop the application. Try using the browser version of Instagram instead if you are using the app or vice versa. You could also try using Instagram on different devices to see whether the login error is being caused by the inadequacies of the device. The browser version of Instagram is very similar to the mobile platform and it will allow you to use Instagram just as you would use it on your phone without any problems. 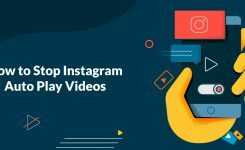 Most of the times, errors on Instagram are caused because your app may be outdated, which means that you need to update to a newer version that is more effective. If the update is available on your phone, you should simply update it through the Play Store. On the other hand, if you do not see a notification to update Instagram, you may be forced to uninstall it so that you can install it afresh, which should fix any potential errors. 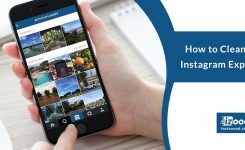 If you have been violating Instagram’s community guidelines, your account may have been deactivated or disabled, which can be done at Instagram’s discretion. If your account has been deleted, you cannot log into it again, which means that you will have to create an entirely new account from scratch. If you have tried all of these solutions and nothing has worked, it might be time to contact Instagram’s help and support team for professional assistance. How to Clean Up Your Instagram Explore Feed?